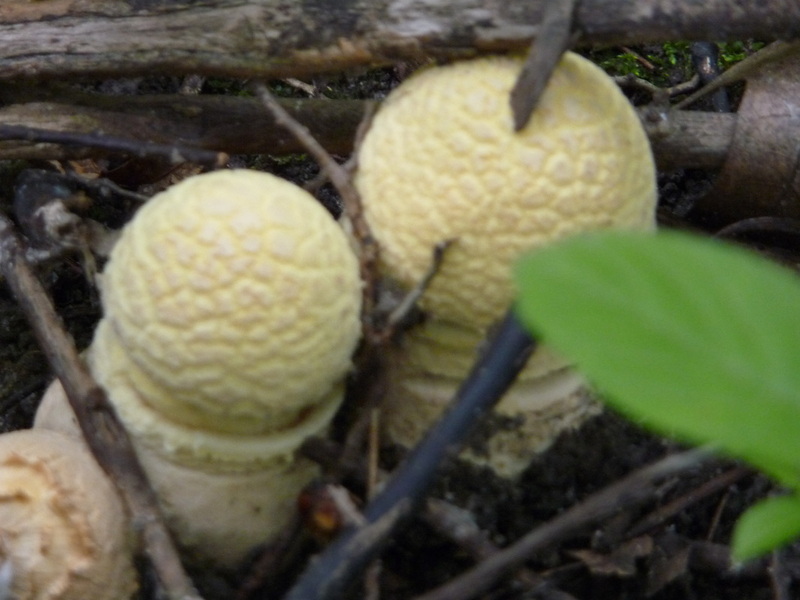 I am fascinated by mushrooms. Here are a few I've encountered. They look like this! 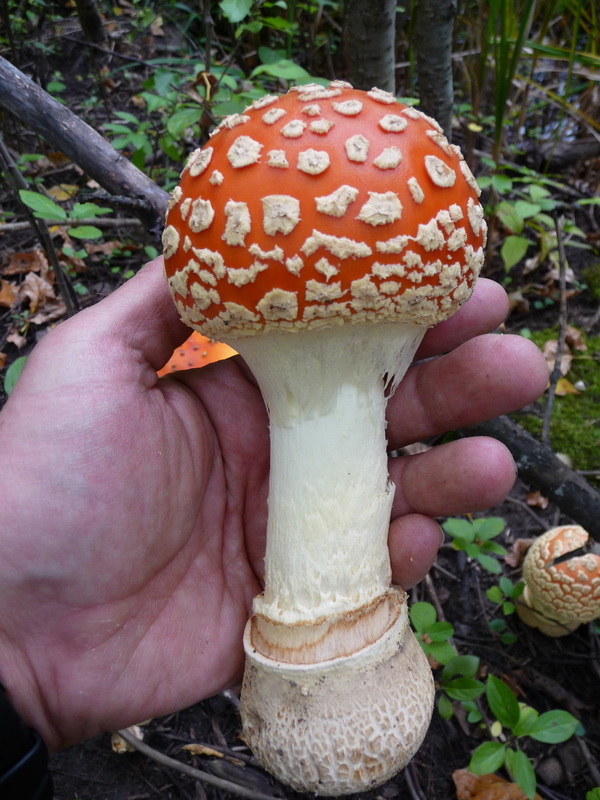 Amanita muscaria is said to be a hallucinogenic, but it might also make you very sick. They are beautiful, though, and always a pleasure to stumble across in the woods. 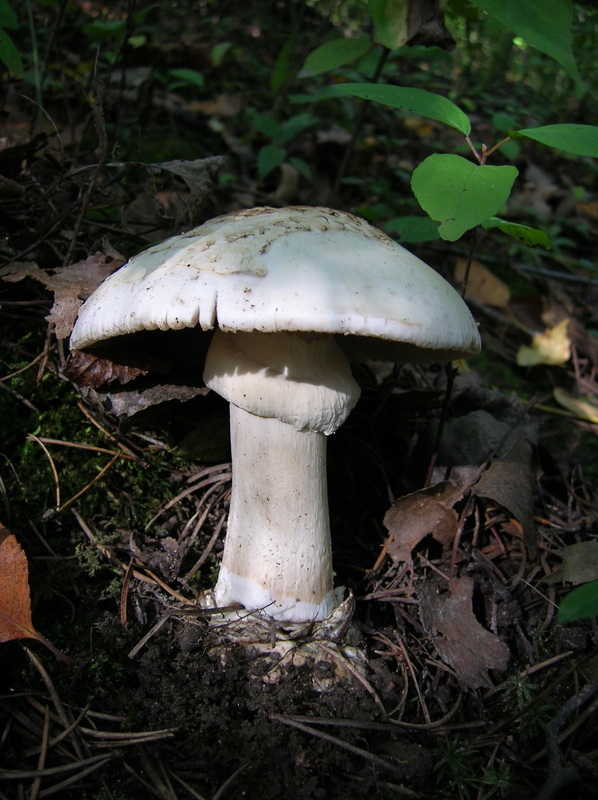 A stately, unidentified Amanita. Possibly deadly. 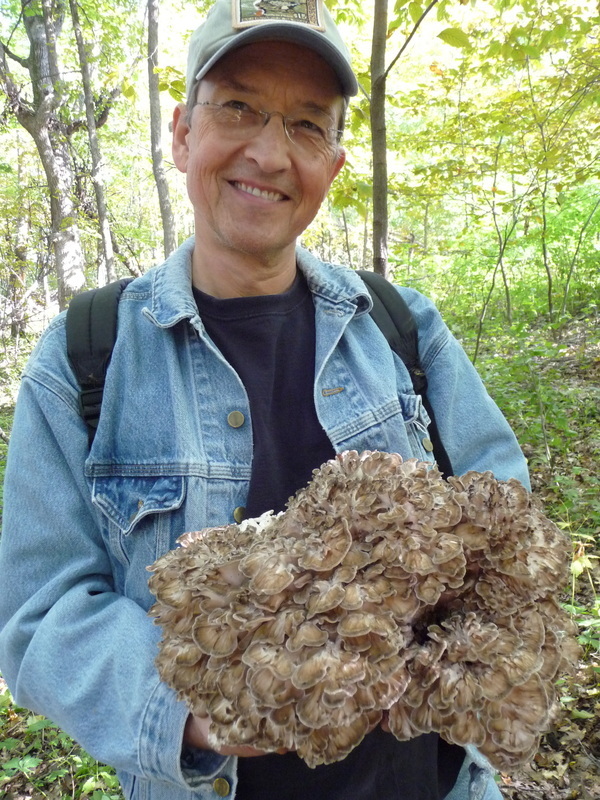 My mushroom buddy Gary Egger. 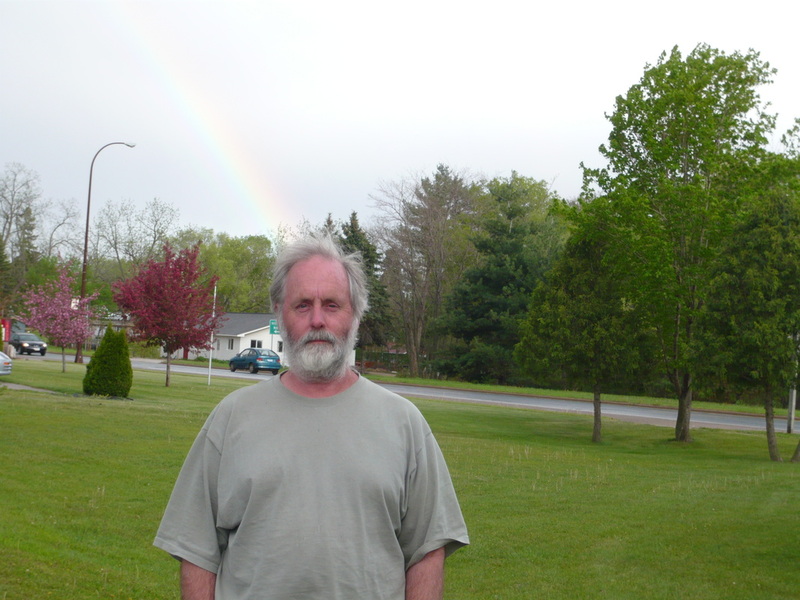 Can you see the rainbow coming out of his head? Click for bigger. 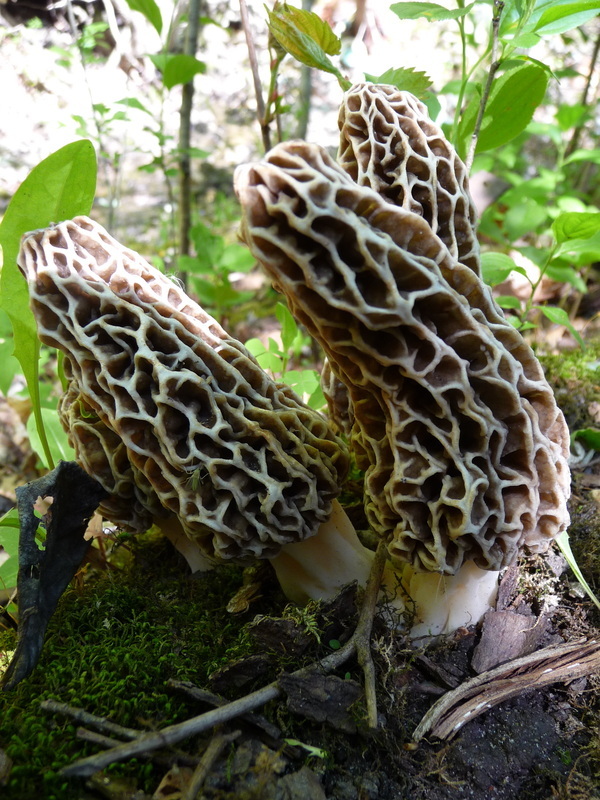 One of the most delicious of all mushrooms! Over the past 40 years I have spent thousands of hours in the woods hunting them. 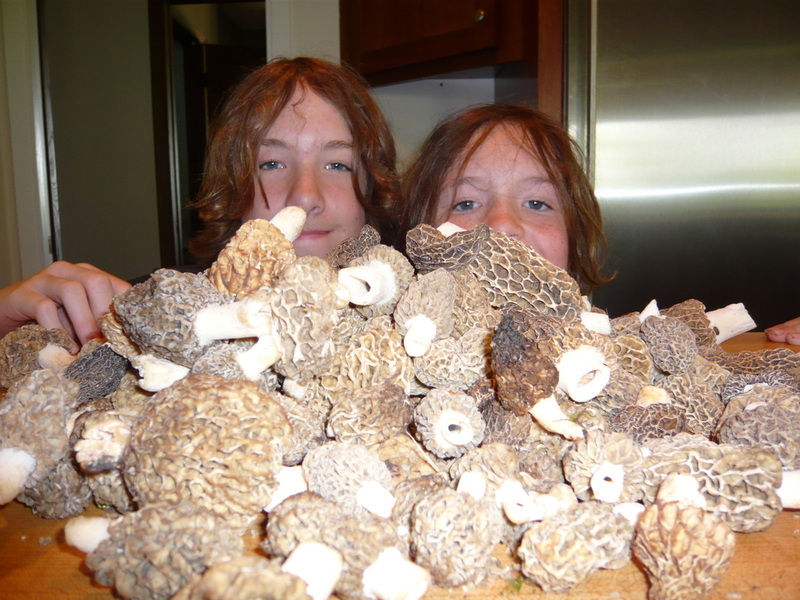 My nephews, Tucker and Jack, with a nice haul of morels. A nice hen (Grifola frondosa). These mushrooms can weigh more than thirty pounds when mature. The biggest one I ever saw was about six feet across. Here, I am holding a medium-size specimen. A good day for hens. 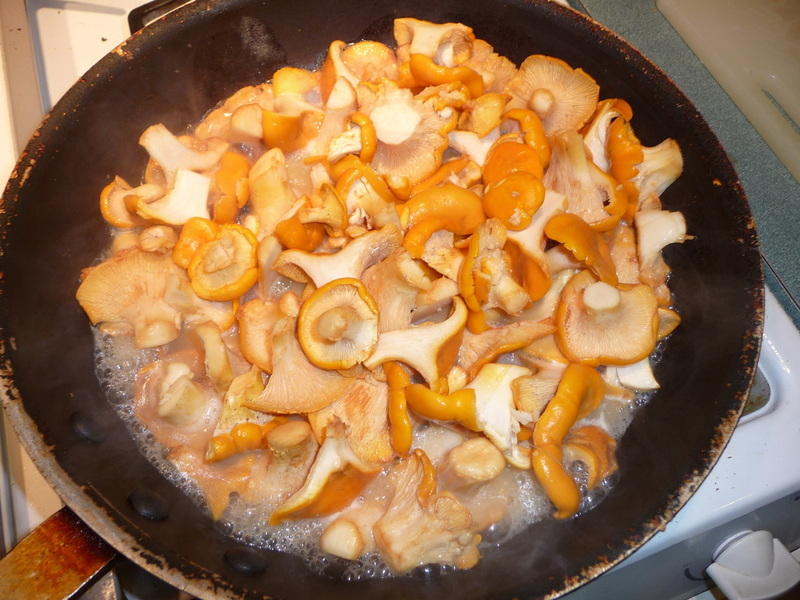 Fresh chanterelles smell a bit like peaches, and are my favorite mushroom to cook with. This patch was found near Grand Marais. I picked more than twenty pounds that day. 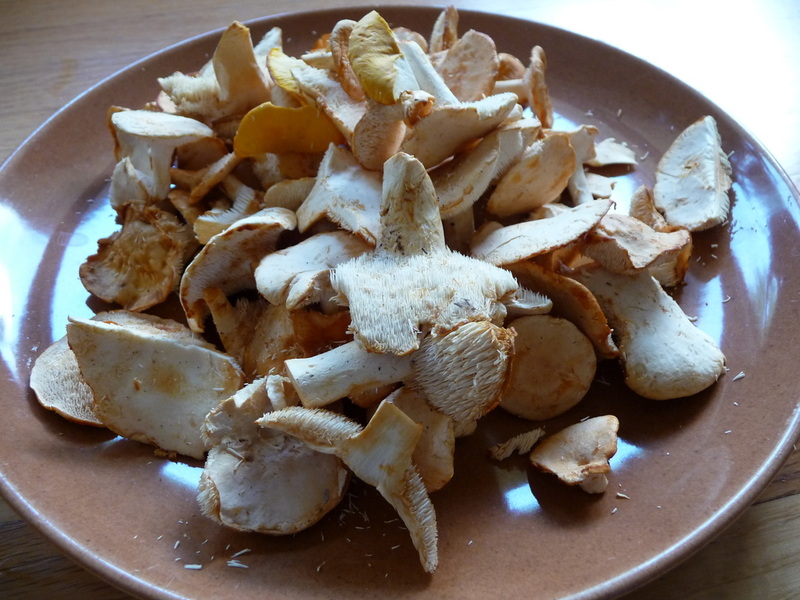 A plate of hedgehog mushrooms (Hydnum repandum). 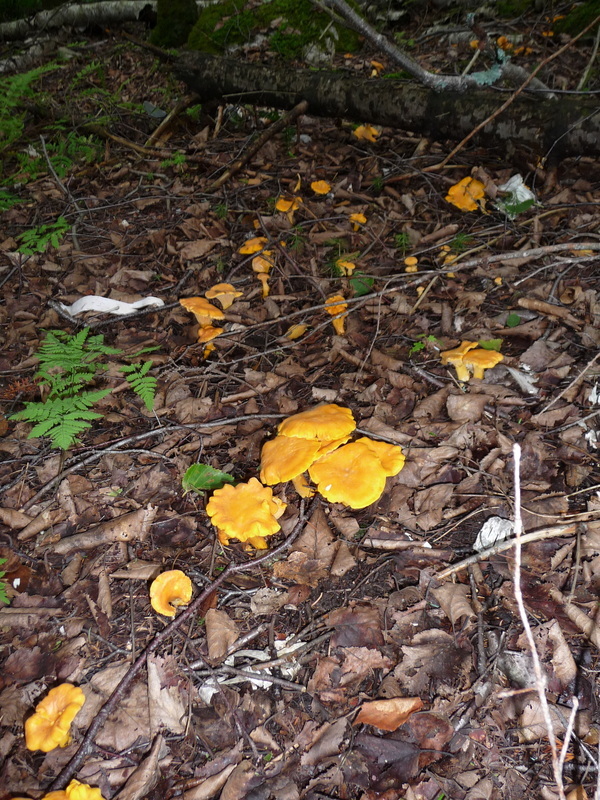 This relative of the chanterelle is a mild-flavored mushroom with fantastic texture. 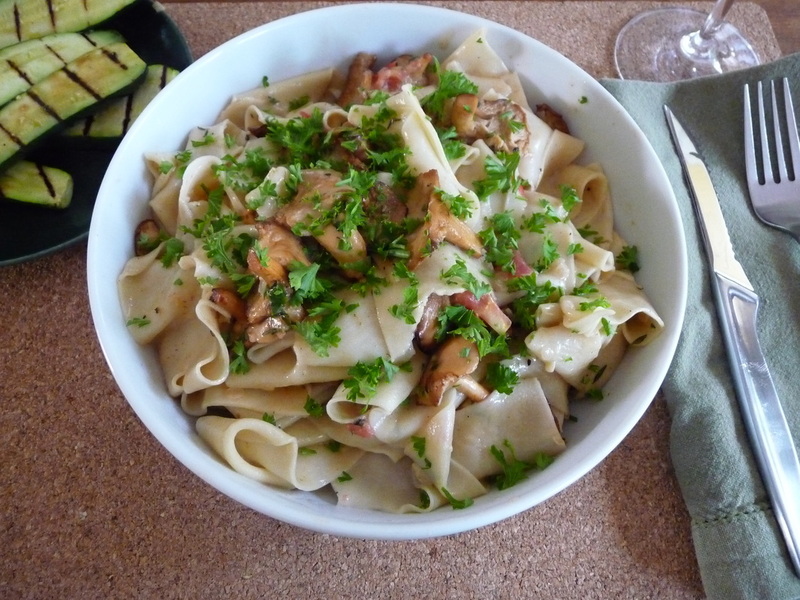 Soooooo good with freshly made pappardelle! I love finding these. The blue juice is astonishingly...blue. The video does not do it justice.